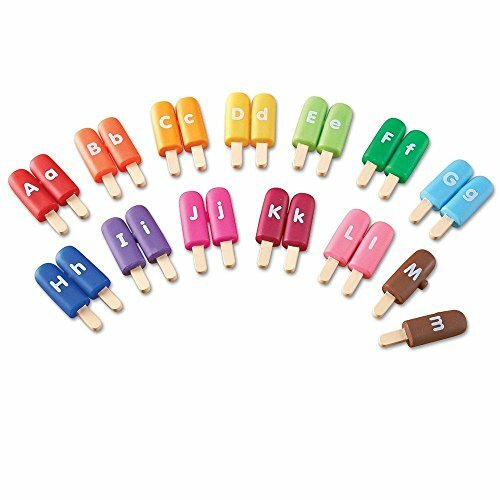 Reinforce upper and lowercase letter recognition as your child matches together these frozen pops. Great for fine motor skills and imaginative play. Each pop is double sided so all letters of the alphabet are included. Pops are self-checking by color. 26 pieces.